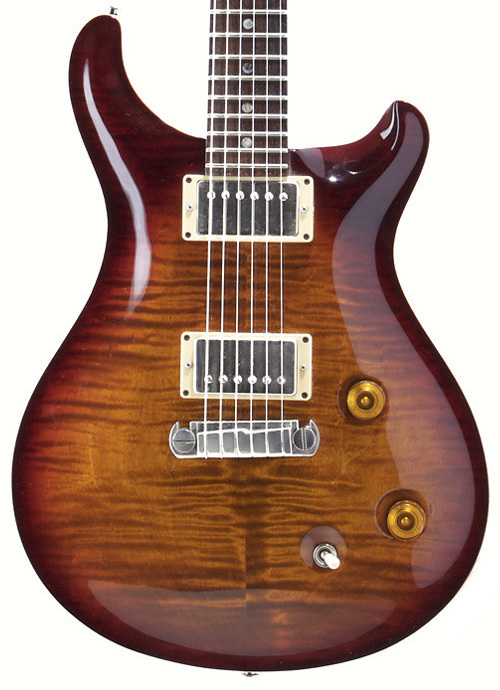 PRS’ elegant and sometimes flashy designs belie its humble beginnings. Founder Paul Reed Smith’s interest in building guitars came out of necessity. While other kids’ parents were buying them instruments and PAs, money was tight for the budding musician. Smith built his first proper guitar as a project for a college music instructor in 1975. “He said, ‘If you can turn that bag of wood into a guitar, I’ll grade it, and I’ll give you four credits,’” Smith recalls. The lessons stuck. After dropping out of college, Smith opened his own repair and luthiery shop in Annapolis, Maryland, played guitar in bands, and, with help from a handful of employees, built about one guitar per month between 1976 and 1985. In those days, one of his main marketing methods was showing up at concerts and convincing roadies to take the guitars backstage. Early customers of Smith’s custom builds, some costing $2,000, included Peter Frampton, Ted Nugent, Al Di Meola, and Howard Leese of the band Heart. Carlos Santana, now one of PRS’ long-time endorsers, was a tougher sell. Santana had Smith build him four guitars before he was willing to endorse Smith as a gifted guitar maker. In the mid-’80s, Gibson and Fender, fighting competition from Kramer, Jackson, and import guitars, were barely hanging on. Meanwhile, Smith and his small group of helpers saw a window of opportunity and looked to expand. He began showing up at instrument retailers in late 1984, hoping to build up enough pre-orders to expand the operation. Combining pre-orders with an investment from businessman Warren Esanu, Smith raised $500,000, launched PRS in 1985 and moved into a small factory in Annapolis. Smith met former Gibson president and CEO Ted McCarty in the mid-’80s, and the elder man would serve as a mentor to Smith and a consultant to PRS. 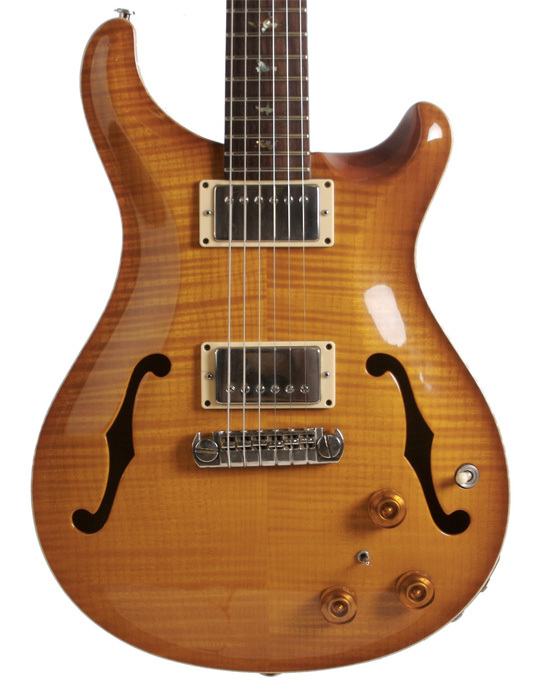 The company debuted its popular McCarty model in 1994. As the company grew, PRS experimented with new finishes, designs, and fretboard ornamentation, but also with many pieces of basic hardware. “If it works, leave it well enough alone,” Smith says, but soon the company was designing its own bridges, locking tuners, tremolo systems, and pickups. And there were other innovations. The company began using its first CNC machine in 1990. 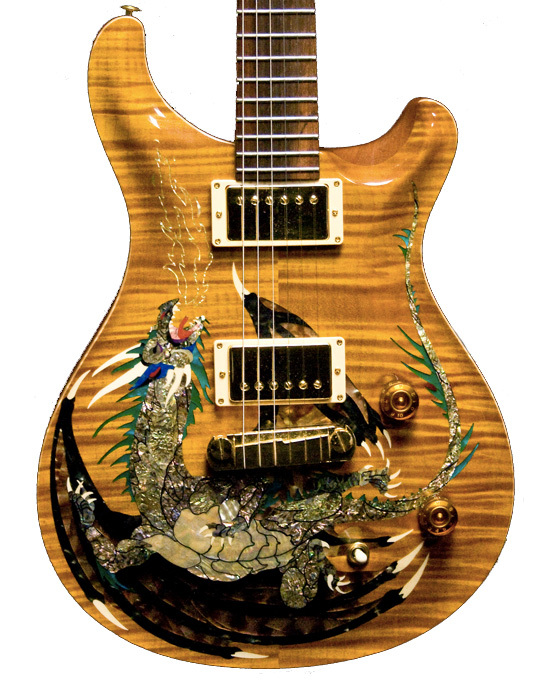 It released its first dragon-inlay guitar, the Dragon I, in 1992. 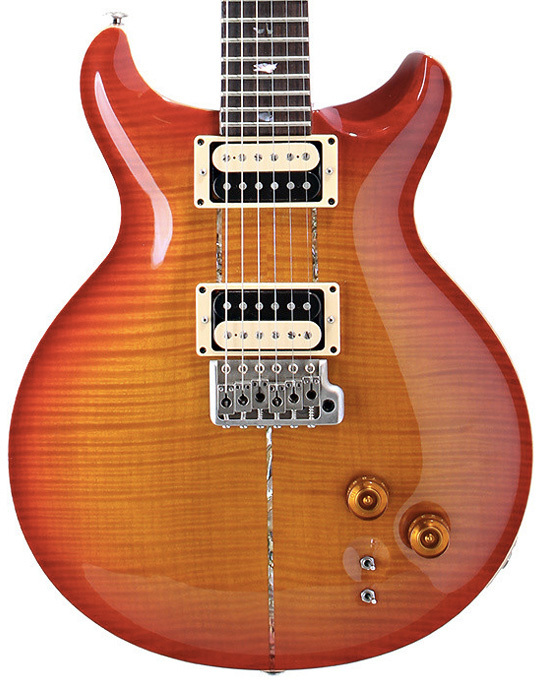 After more than a decade in business, 1996 was a big year for PRS. The company moved to a new factory in Stevensville, Maryland, launched its first website, and introduced its Private Stock custom-build service. The company also survived a trademark infringement lawsuit from competitor Gibson in 2000. 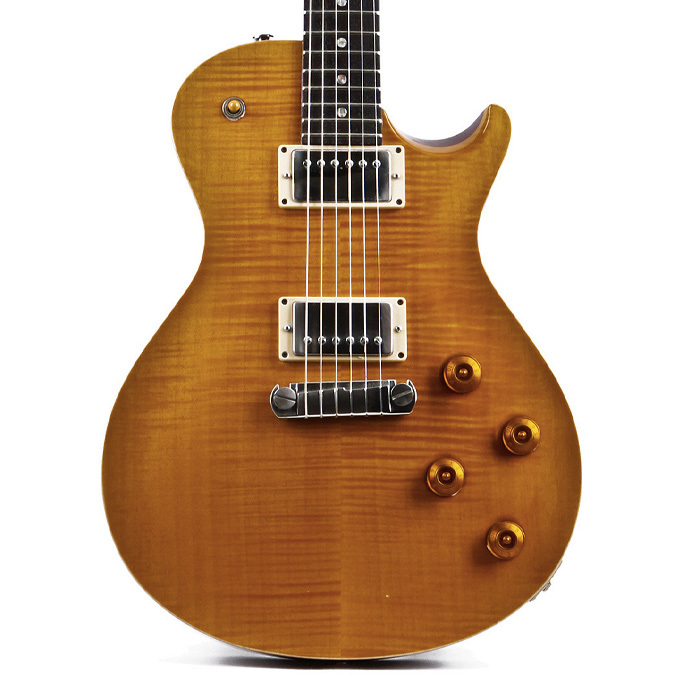 Gibson had complained that music fans in a “smoky concert hall” may not be able to tell the difference between the PRS Singlecut model, introduced that same year, and a Les Paul. A district court sided with Gibson in 2004 and ordered PRS to stop selling Singlecut guitars. But an appeals court overturned the lower court in 2005, famously saying “only an idiot” would confuse the two guitars at a retailer. 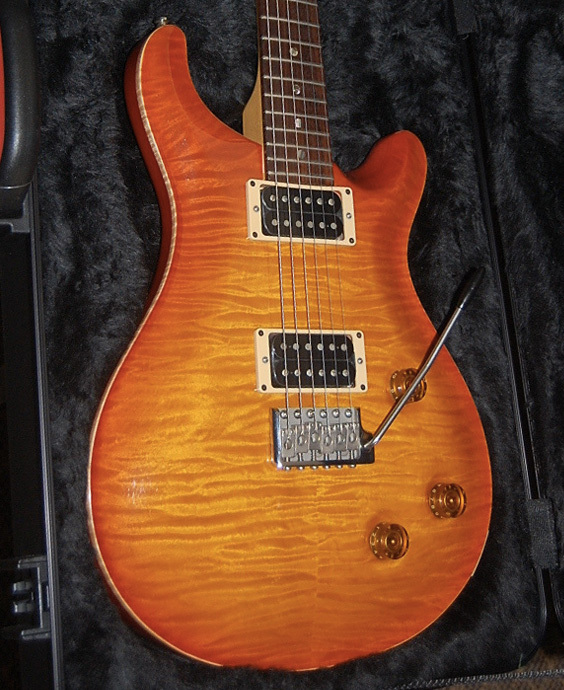 In 2001, PRS introduced the SE line of Korean-made guitars. The company began selling amplifiers and acoustics in 2009. 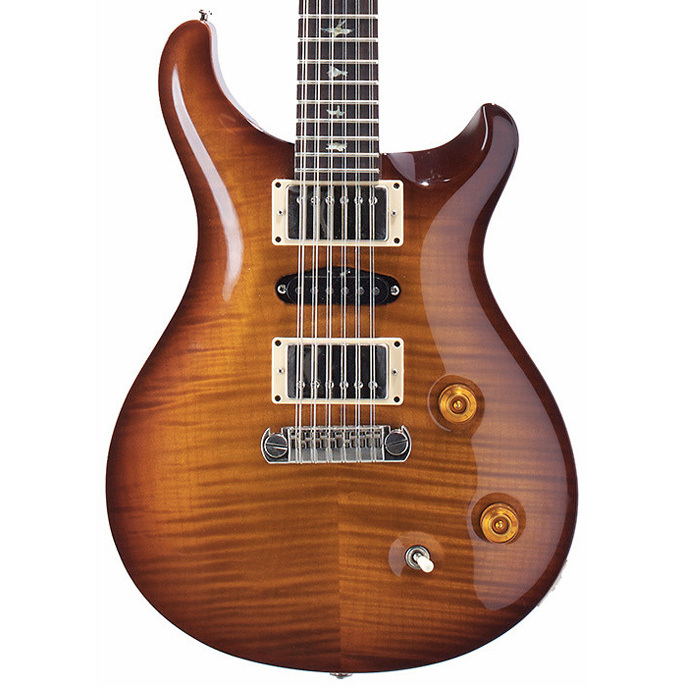 PRS rolled out its mid-priced, U.S.-made S2 line in 2013, and the company has added to the models available, rolling out a series of satin-finished guitars for less than $1,100. Smith becomes animated when talking about the current state of the guitar-making business, where there’s more competition than ever. Buyers need to decide what guitar makers they will trust, he says. “Trust that it stays in tune, plays in tune, the frets are in the right place, things are sticking, that it’s easy to play, you can get a huge variety of gorgeous tones out of it, it’s comfortable, it doesn’t weigh too much, it doesn’t smell bad, it holds up over time, it doesn’t need a repairman next week—that stuff is really important." PRS now produces about 1,100 guitars per month in its Maryland factory, plus a few dozen acoustics and amps, and imports another 2,500 SE models from Korea. 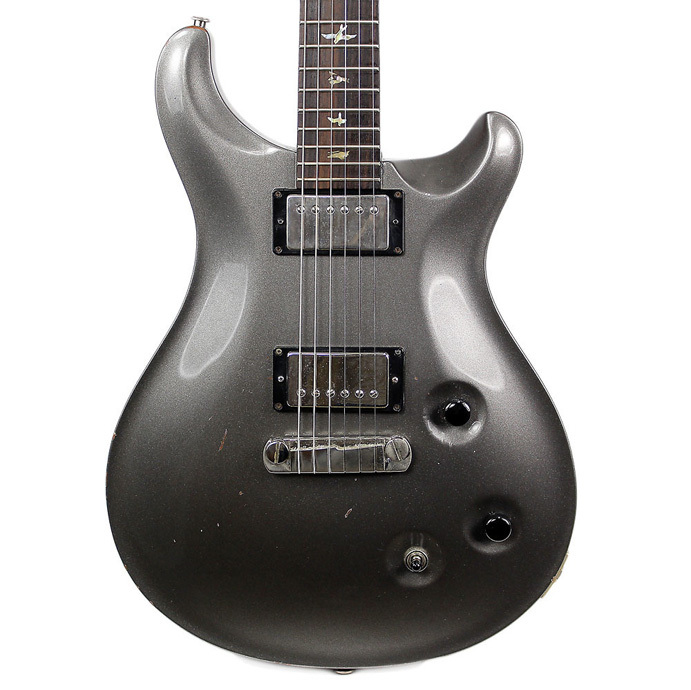 PRS: 1985 to 1987, when it became known as the Standard. Custom: 1985 - Current. 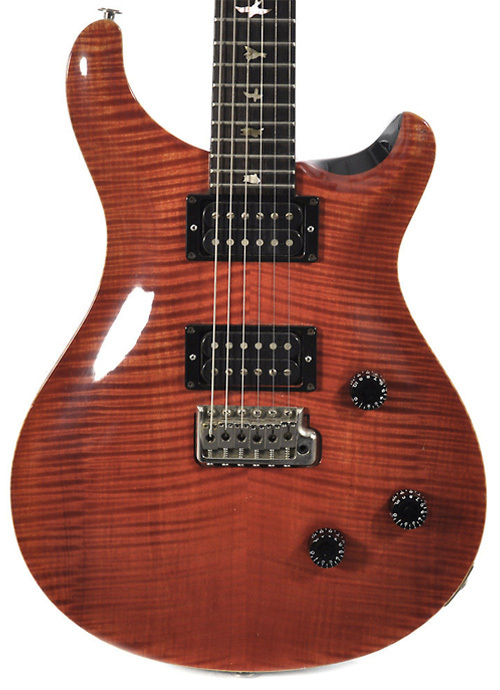 The definitive original PRS, figured maple top, 10 top options, mahogany back and neck, volume, sweet switch and five-way rotary offered until 1991, Brazilian rosewood fretboard until 1991, PRS Tremolo and cam-style locking tuners, stoptail offered from 1993 - 2001, Phase II tuners from 2002. 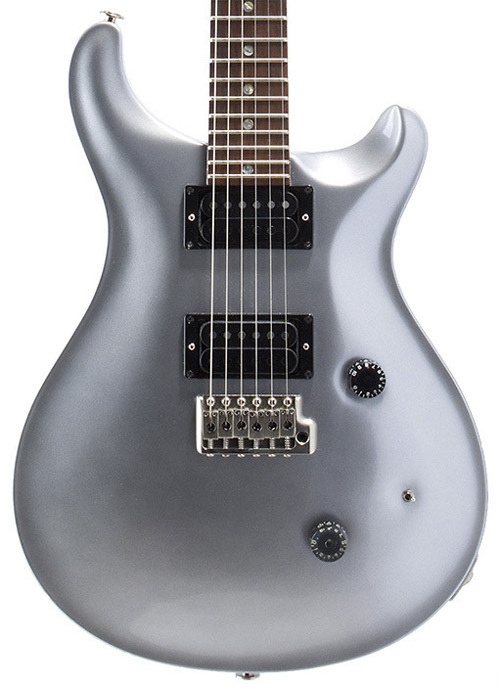 Updated in 2011 to volume, tone, five-way blade switch and Phase III locking tuners. 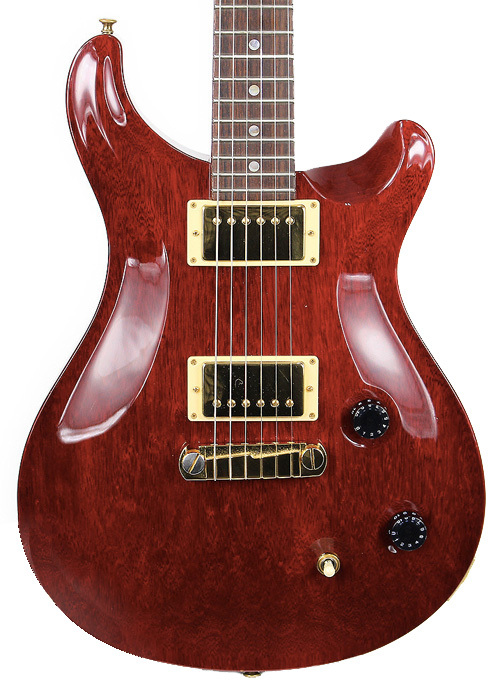 McCarty Model: 1994 - 2007. 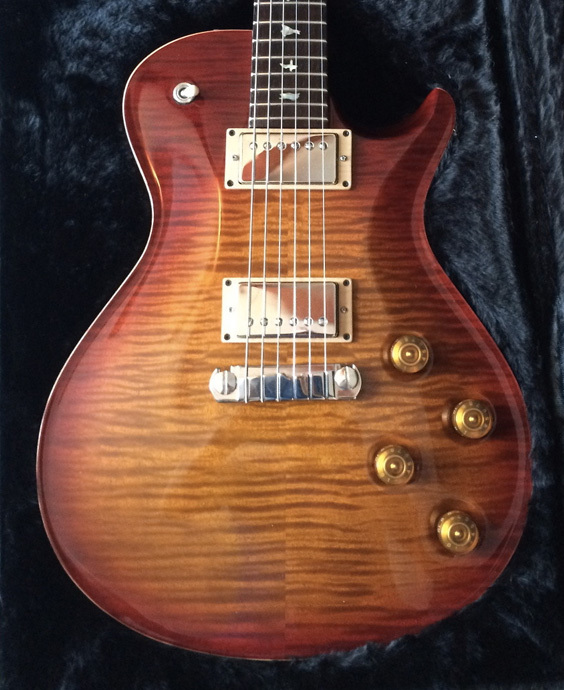 First 100 signed and numbered, wide-fat 22-fret neck only, East Coast maple top, 1/8th-inch thicker mahogany back, stoptail, vintage-style tuners, covered Dragon Bass PRS humbuckers, changed to McCarty Pickups in ’95 and now includes a push/pull coil-tap on the tone control, three-way toggle pickup selector, East Indian Rosewood Neck option added in 1998. 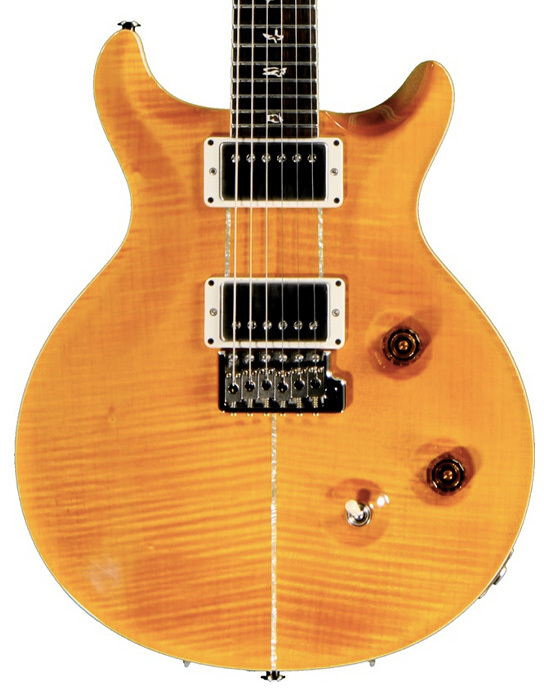 McCarty Standard: 1995 - Current. 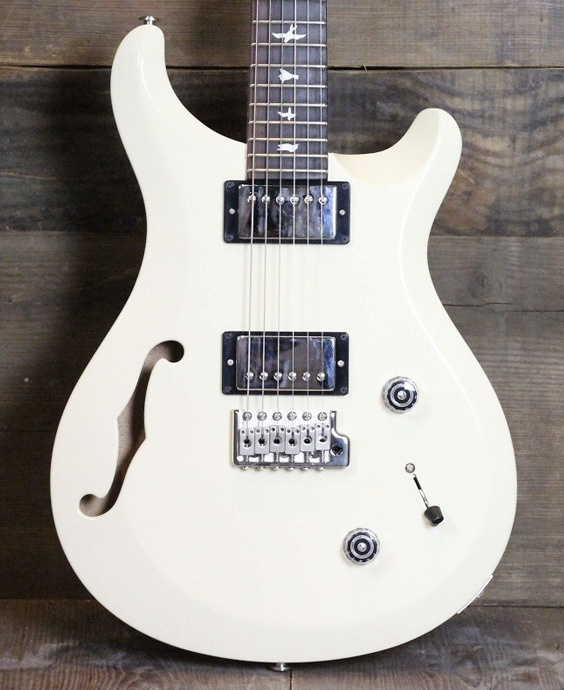 Specs similar to McCarty but with solid mahogany body. Only offered with stoptail bridge option. Carlos Santana Model: 1995 - 1998. Reproduces Santana’s original. First 100 signed and numbered. Pre-’85 body shape and headstock (with eagle inlay) 24 1/4” scale, 24-fret (11.5” radius) fretboard, bird inlays, maple top (with paua shell purfling) Santana humbuckers, tone, twin mini-switches. McCarty Hollowbody: 1998 - Current. Hollowbody - carved spruce top with carved mahogany back and sides. Hollowbody I - carved maple top with carved mahogany back and sides. Hollowbody II - carved maple top and back with mahogany sides. All models are 1 3/4" depth at rim, 3" depth at bridge, 22-fret wide-fat mahogany neck, rosewood fretboard, PRS adjustable stoptail bridge, and McCarty Archtop pickups with three-way toggle. Piezo bridge pickup option added in 1999. Santana III: 2000 - Current. Mahogany back, Carved maple top, 24 fret, 24 1/2” scale, 10” radius, East Indian rosewood fretboard, Abalone bird inlay, Santana wide fat neck carve, PRS Tremolo, 14 to 1, low mass locking tuners, Electronics and tremolo cavity cover, New Santana pickups with covers, 3 way toggle pickup selector, Volume control, Tone control. Dragon 2000: 1999. Specs same as McCarty. Brazilian rosewood neck and fretboard with no fretboard inlay, Dragon inlay on body made of 242 pieces of mastodon ivory, rhodonite, agoya, coral, onyx, sugilite, chrysacola, red, green, and pink abalone and paua. Limited edition of 50. Singlecut: 2000 - 2006. Singlecut body shape with carved maple top, mahogany back and neck, rosewood fretboard, 25” scale length with 10” fretboard radius, optional bird inlays, Wide Fat neck carve, PRS #7 Treble and Bass pickups, two volume and two tone controls with three-way toggle on upper bout. Custom 22/12: 2004 - Current. Carved figured maple top, mahogany back and neck, 22 frets, 25” scale length, 11.5” radius, East Indian rosewood fretboard, special 12-string neck carve, stoptail, phase II locking PRS tuners with mini pearloid buttons, hum/single/hum pickup configuration with Lindy Fralin single-coil pickup. Standard 22: 1994 - Current. A 22-fret version of the Standard, wide thin or wide fat neck profiles available, tremolo or stoptail options, birds optional.